HOW CAN I TELL IF I NEED DUCT SEALING? Home / Air Quality Facts, Maintanence / HOW CAN I TELL IF I NEED DUCT SEALING? A lot of people rely upon air ducts in order to distribute heated and cooled air throughout their homes. If you are one of these people, you are wise to remember that damaged or leaky ductwork can have seriously negative implications for your comfort, your air quality, and the condition of your HVAC system. The problem is, of course, that your air ducts are largely hidden from view. Because of this, simply giving your air ducts a quick visual inspection is not really much of an option. 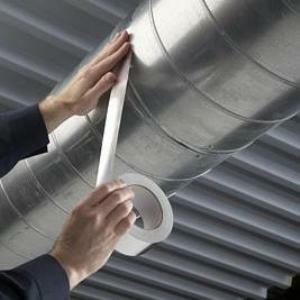 Even so, though, there are ways in which you can determine if you’d benefit from professional duct sealing in Temple, Tx. We use our air conditioners far more than our heaters in this part of the country, obviously. Regardless, though, poorly sealed ductwork can negatively affect any forced air distribution system, heaters included. This can result in uneven heating or cooling throughout a house, as air escapes the ductwork before it ever has a chance to make it to its intended destination. By sealing your ductwork, our technicians can ensure that you are able to heat and cool your home in the even, effective manner that you deserve. A major indicator of the need for duct sealing is a spike in energy costs. While the conditioned air leaking out of your ducts will still wind up somewhere within your home, it will likely not be an area where it is really needed. This will leave your system working overtime in order to maintain comfortable temperatures in the areas where you do need it. As a result, you’ll wind up paying more to heat and cool your home, even as you do so less successfully. Air leaking out of your ductwork is a major concern, of course. However, this is not the only issue that you may encounter. You may also find that your indoor air quality is slipping, due to pollutants making their way into your ductwork and then traveling throughout your home.